Back in the 90s, in what now sometimes feels like a former life, I spent a couple of years living in India. It was a happy time and when I discovered these images of Mumbai street art and market scenes on recently launched travel, lifestyle and design site Bly it instantly transported me back there. 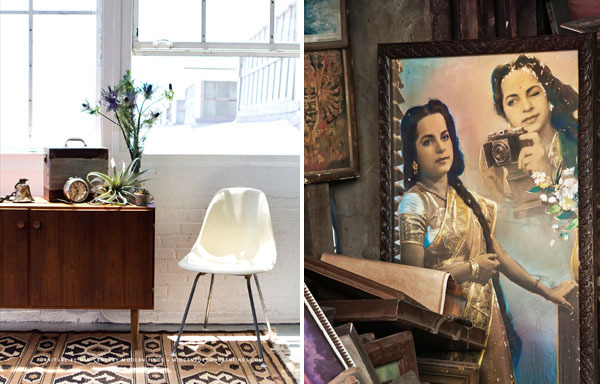 Founded by San Francisco based Rena Thiagarajan, who describes herself as a recovering corporate attorney and "adventurer in chief", Bly shops markets all over the world, curating collections of textiles, home accessories, art and jewellery and offering up objects from a new destination every couple of months. What's really great about this site is that you get to discover the story behind each object - where it was found and who it was bought from. It features people like Shahid Mansoori, whose lifelong obsession with Bollywood posters began at an early age when he started collecting the pictures of Bollywood stars that came with toffees and ice creams, and then began saving his pocket money to buy posters. Bly sounds very much like a labour of love. How did it come about? Bly is a labor of love. I spent seven years as a corporate attorney for start-up companies in Silicon Valley to fund my passion for travel and design. I spent years dreaming of a different life and Bly in various forms before working up the courage to take an enormous leap and pursue my passion. I came up with the idea of Bly as it is today during downward dog in a Sunday afternoon yoga class almost exactly a year ago. The seed for Bly, however, had been planted back in 2005, when I moved to San Francisco and landed my first apartment - a little one-bedroom rental in Russian Hill. My excitement to furnish it and turn it into a space that I could come home to after a long day of work included a three-month obsessive search for the perfect rug. After exhausting my San Francisco options, including all the usual big brand furniture stores as well as high end rug galleries where rugs cost more than what I could afford, I turned to the internet and my nights were spent bleary eyed trying to find the perfect rug. I wanted something special with a story, and I finally found one in Almaty, Kazakhistan - an East Khotan rug with an unusual pomegranate design in muted grays, yellows and reds. I exchanged several e mails with the seller in Almaty, read all I could about Khotan and Khotan rugs (which, along with Kashgar, is on my list of cities for Bly), and finally wired the money. My rug arrived intact, and is one of my favorite pieces. Not only did it inspire me to make a trip to Central Asia and immerse myself in the history of the silk route, but it’s also been the subject of many compliments. 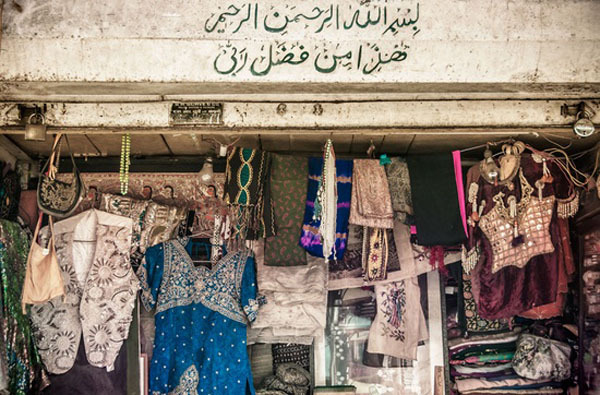 You describe yourself as a "top-notch bazaar-bargainer", what are some of your favourite finds? I love the vintage brass tiffin carrier that I purchased from Mr. Ishaque's stall in Chor Bazaar. 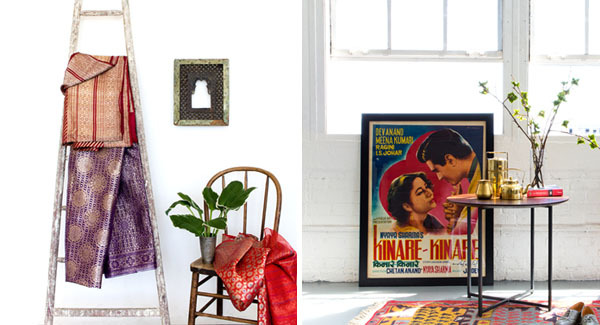 Vintage brass is harder to find these days than it used to be, much like vintage Bollywood posters. Ishaque polished up the tiffin carrier for us, and to me it's so representative of Indian culture - from family and food to a way of life. Another vendor from Chor Bazaar asked for my hotel information after a successful afternoon of bargaining so he could send me a "gift". To my surprise later that evening reception rang my room to tell me I had a delivery, and I received a tiffin carrier (although a modern stainless steel one not vintage brass!) with steaming biryani as a thank you. I think bargaining is not just about getting a fair price but it's also about establishing a relationship. 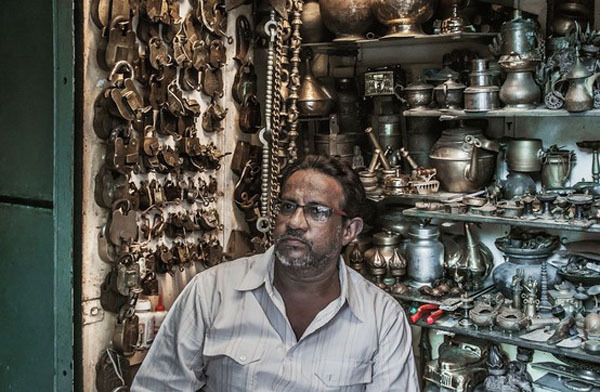 I spend a lot of time getting to know vendors in the bazaar and their stories. For example, Ishaque is a brave entrepreneur who took all his savings to start his own little stall. He's very focused on educating his daughter, and a successful session of bazaar bargaining is when both I and the seller walk away satisfied and happy with the experience. What can we look forward to from the destinations coming up on Bly later this year? We have such a great diverse line of up cities and products coming and I get so excited about each collection! In La Paz, Bolivia which will debut end of May on the site, we have the most beautiful vintage textiles. "Mantas" woven on back strap looms were made to be used as wraps, but add so much to a room draped over a couch or even on the wall. Every region of Bolivia weaves distinct patterns and colours, and I learnt about the different regions of Bolivia from Potosi to Tarabuco, Sucre and Ororu through the mantas I purchased. From Kumasi, Ghana we have some wonderful new and old kente cloth as well as carved wooden masks. The Bukhara collections has embroidered suzanis, both vintage and new as well hand painted ceramics.